You’ve heard it before: artificial intelligence (AI) is the wave of the future. But as a matter of fact, the future is now. With the AI technologies currently available to implement, many job responsibilities are becoming partially or fully automated, which makes IT pros’ lives easier and allows for a focus on higher-value work. There are many AI solutions and services out there, from large enterprise offerings to do-it-yourself code. AI is also being integrated into existing services, as is the case with Microsoft’s Azure cloud platform. From image recognition to bot services, Azure has become a breeding ground for cutting-edge AI features and solutions. 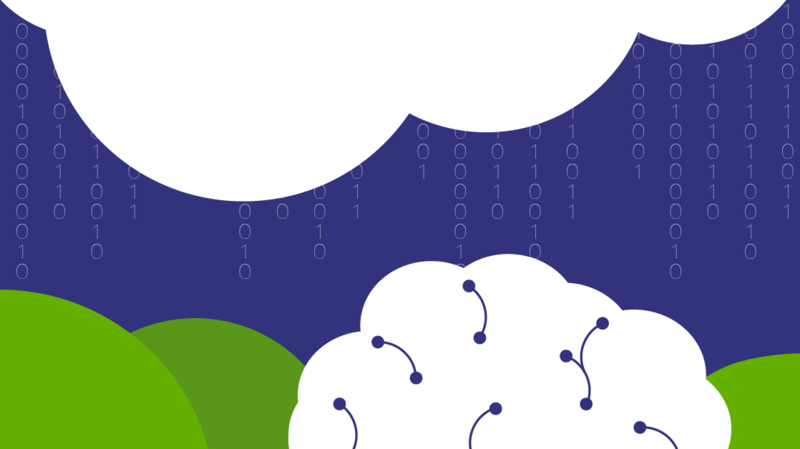 In this post, we take a look at how AI is taking over Azure and what it means for you. AI is growing, with tech giants like Apple and Amazon investing heavily in the technology. Over the past few years, Microsoft has made a concerted effort to get to the front of the pack. Under Satya Nadella’s leadership, Microsoft has embraced a more forward-thinking vision that manifests itself in the Artificial Intelligence and Research Group, which stretches across Windows, Office, and the Azure cloud platform. The Azure AI platform is broken into three services: Cognitive Services, Machine Learning Services, and Azure Bot Service. Each of these can be used to solve business problems and build custom solutions for diverse audiences. In 2017, Microsoft announced a host of new features and updates to Azure, targeting data scientists and developers eager to use AI to solve business problems and create custom, scalable experience. Azure Cognitive Services provides a range of APIs, SDKs, and services that enable developers and IT pros to integrate AI into their applications. The APIs center around vision, speech, language, knowledge, and search technology. For example, the Face API detects, identifies, analyzes, organizes, and tags faces in photos. Linguistic Analysis and Language Understanding APIs are natural-language processing tools that simplify language, parse text, and teach apps to understand language commands. There are nearly 30 APIs and services in the current catalog, and the list is growing. Azure Bot Services dates to 2016 and provided one of the first options for creating bots in the cloud that are operable on an array of platforms like Skype and Microsoft Teams. Developers can create bots from templates like “basic bot” and “Language Understanding bot”, easily deploy and register in the Microsoft Bot Framework, and run at scale with the underlying Azure Functions. By integrating Cognitive Services, bots can see, hear, interact, and understand. Azure’s AI tools can be used as a part of applications with just a few lines of code, or they can be integrated deeply into an organization’s systems and scaled. While some of these capabilities may seem futuristic, the Bot Services and Cognitive Services portfolio demonstrates how AI is taking over Azure and becoming an integral part of our modern-day reality. When we think of AI, we often think of machine learning: The ability of a computer to learn from input and data and act without being specifically programmed with instructions for that action. Azure’s Machine Learning Services gives developers a way to build AI applications that can do that. Machine Learning Services offers a toolbox for developers and data scientists to build new AI models or leverage existing ones. Applications like Workbench and Experimentation allow users to access data preparation and data source abstraction tools, prototype at scale, manage performance, take advantage of open source frameworks, and more. The browser-based Machine Learning Studio is a no-coding-necessary option that lets AI newbies deploy solutions without code, but it’s flexible enough to be a time-saving and useful tool for experienced developers. Once you’ve built your solution, the Azure Marketplace gives you a way to share it with the community. Artificial intelligence is becoming a part of the foundational fabric of applications and systems like Windows Azure. The components of Azure’s AI suite —Cognitive Services, Bot Services, and Machine Learning — offer a breadth of customizable tools that cover a range of needs and abilities. Whether you’re a novice in the field or an AI expert, there are ever-increasing opportunities to integrate artificial intelligence into your Azure systems.